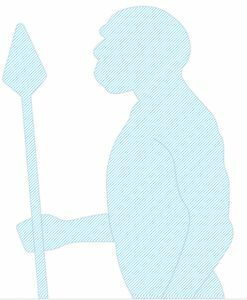 We might not give Neanderthals much respect, but modern humans probably owe our survival, at least in part, to our now-extinct short and burly ancient cousins. A new study by scientists at the Max Planck Institute for Evolutionary Anthropology – the same team that just a few years ago first sequenced a Neanderthal genome – found that when modern humans emerged out of Africa and intermixed with Neanderthals perhaps 60,000 years ago, it gave us an evolutionary advantage to survive and thrive. 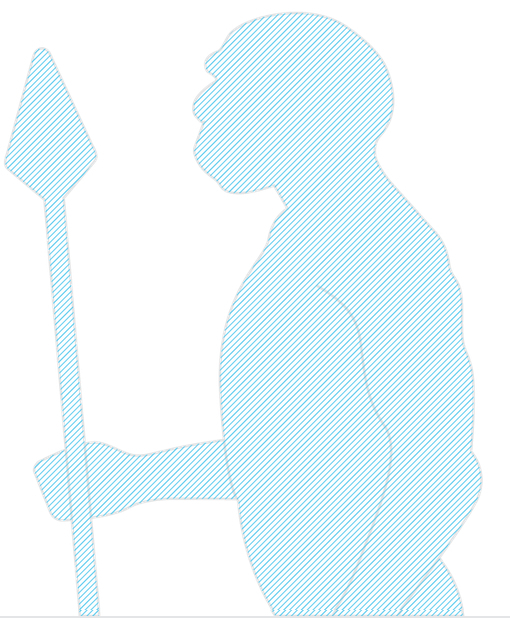 After all, Neanderthals had 200,000 years to adapt and flourish outside of Africa before modern humans met up with them, so intermixing may have given a genetic leg up to modern humans adapting to the new environment they encountered in their migrations. This is not the first time that scientists have discussed the evolutionary advantage – termed “hybrid vigor” – imparted by Neanderthals to modern humans. But it is the first time specific genetic contributions from Neanderthals have been found and tied directly to an evolutionary advantage. Two years ago researchers at University of California Berkeley showed that another archaic human cousin, the Denisovan, may have given Tibetans a genetic adaptation for living at high altitudes. In this new paper on Neanderthal, researchers found that changes in the Toll-like receptor (TLR) genes – genes involved in how we respond to to such things as bacteria, fungi and parasites – may have given modern humans the ability to withstand some of the exposures they would have encountered in their new environments. But there was a cost to this advantage. While these genetic variants may have helped boost humans ability to withstand certain pathogens and bacteria, they may have also left modern humans with an overactive immune system making them more susceptible to asthma and allergies. 23andMe population geneticist Ivan Juric, who previously worked at Graham Coop’s lab at the University of California, Davis, said his research there suggests that on average, selection was working against Neanderthal ancestry in modern humans. His yet-to-be published research and the work of Kelly Harris and Rasmus Nielsen, also in pre-publication review, suggest that early human-Neanderthal hybrids might have been strongly selected against. This doesn’t mean that all the Neanderthal variants in humans are deleterious, as shown in the new research regarding the TLR genes. This all adds to our understanding of human history and evolution, about why modern humans survived and Neanderthals and Denisovans didn’t, and it may give us insight into certain conditions and traits we still carry today.